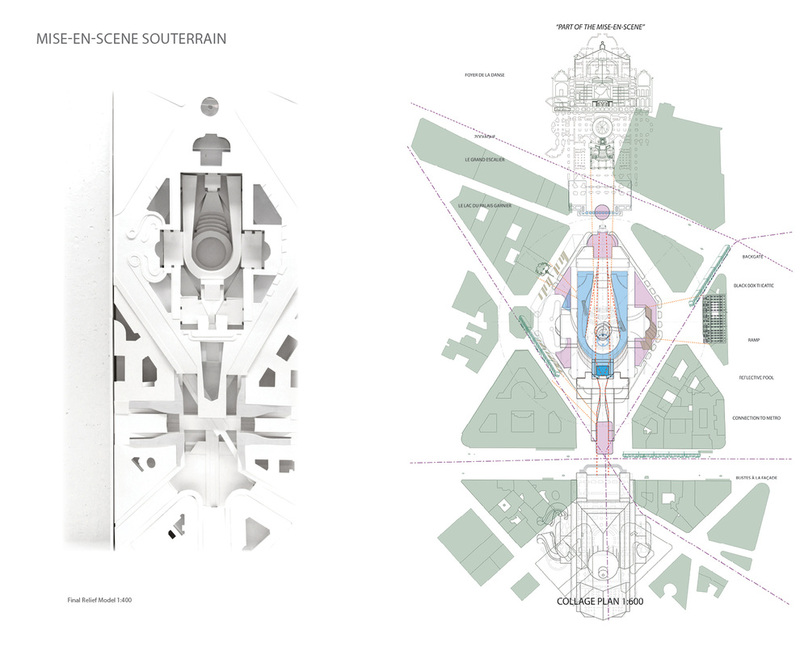 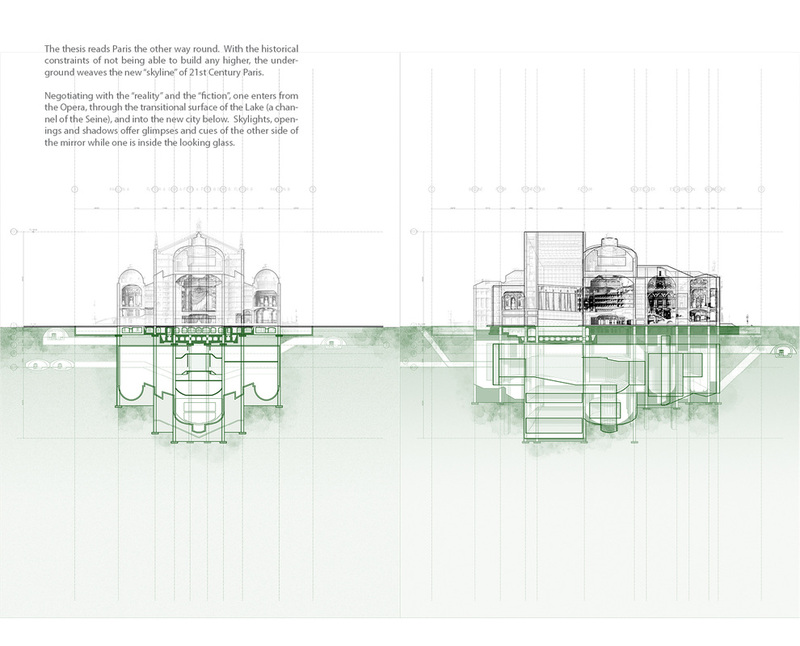 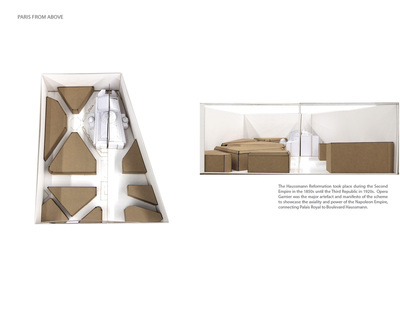 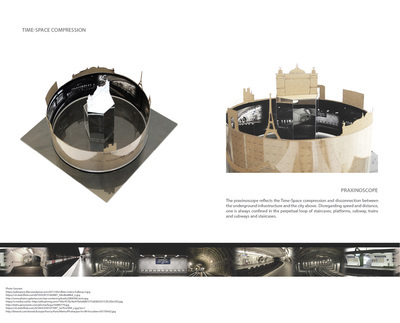 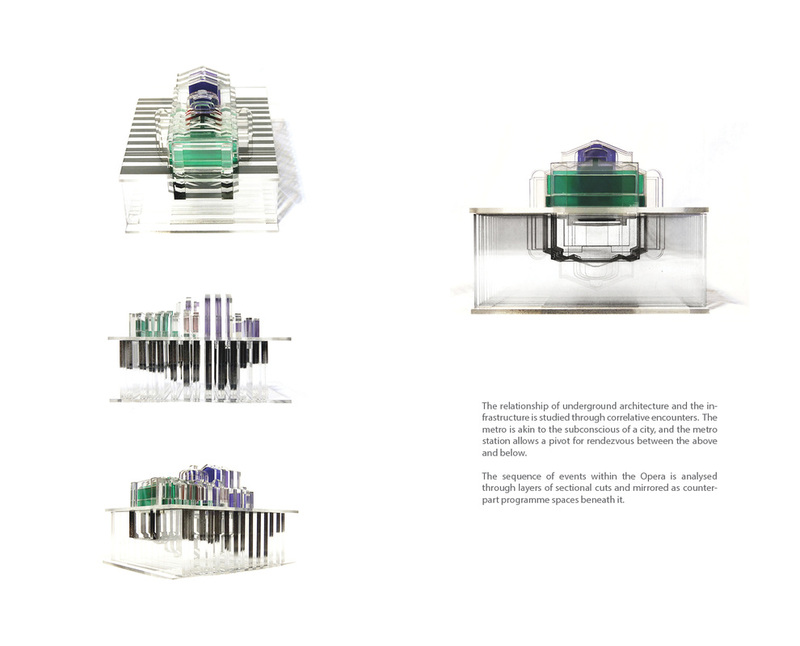 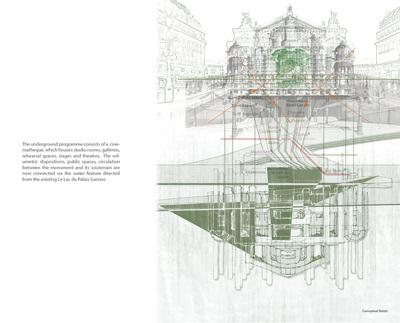 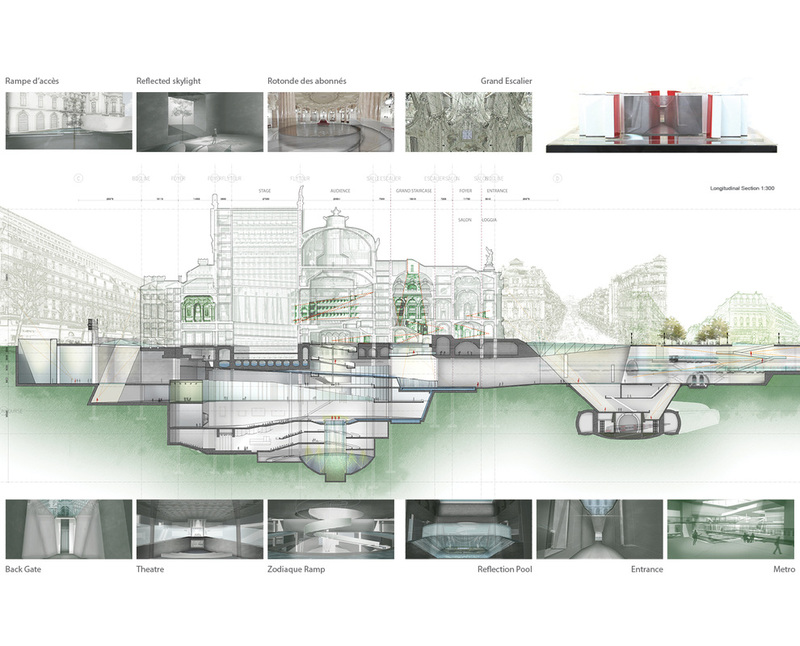 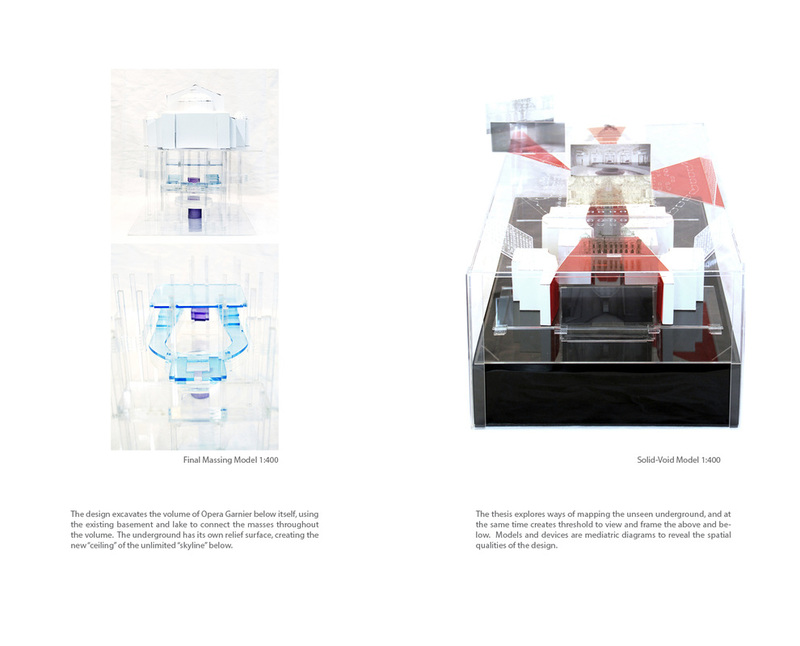 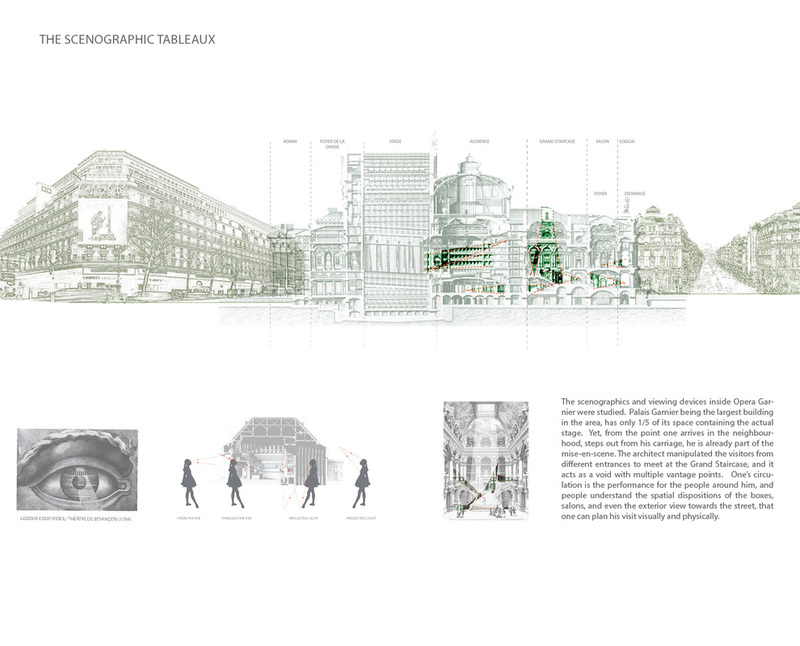 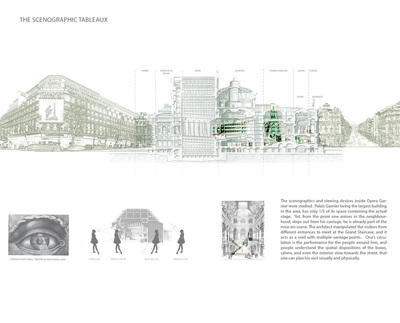 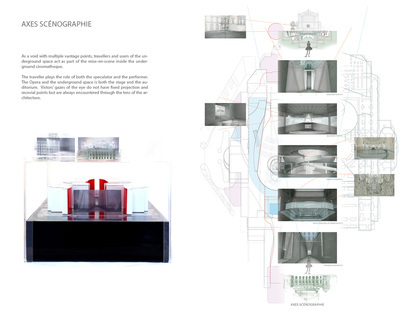 The thesis critiques the generic trope of approaching underground architecture. The thesis explores ways of mapping the souterrain by negotiating “reality” and “fiction” in the compressed experience of node-to-node transportation. The project mirrors l’Opera Garnier upside-down to sculpt the proposed volume below-grade. 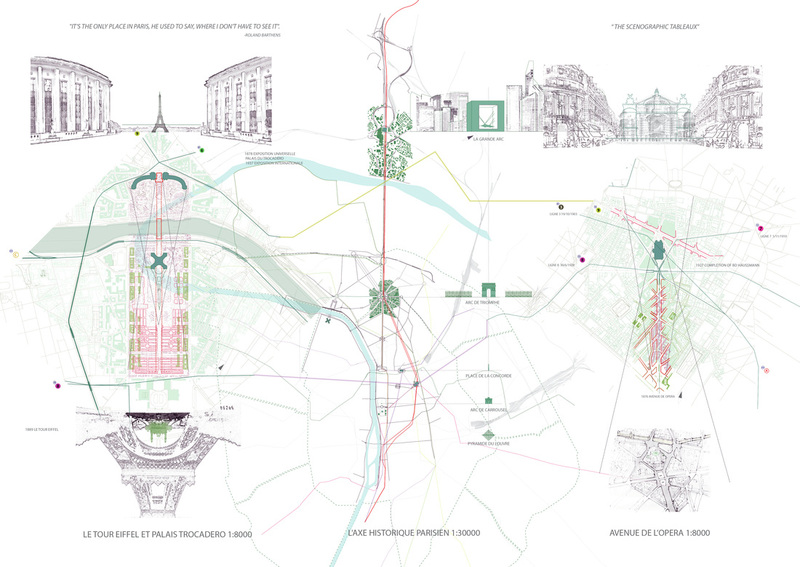 With the constraints on the consistent building heights of Paris, the underground weaves the new “skyline” of 21st Century Paris in dialogue with the Haussmannian landscape above, and the extensive metropolitan underground infrastructure. The travellers of the new metro station act as part of the mise-en-scene inside the proposed cinémathèque beneath l’Opera Garnier. 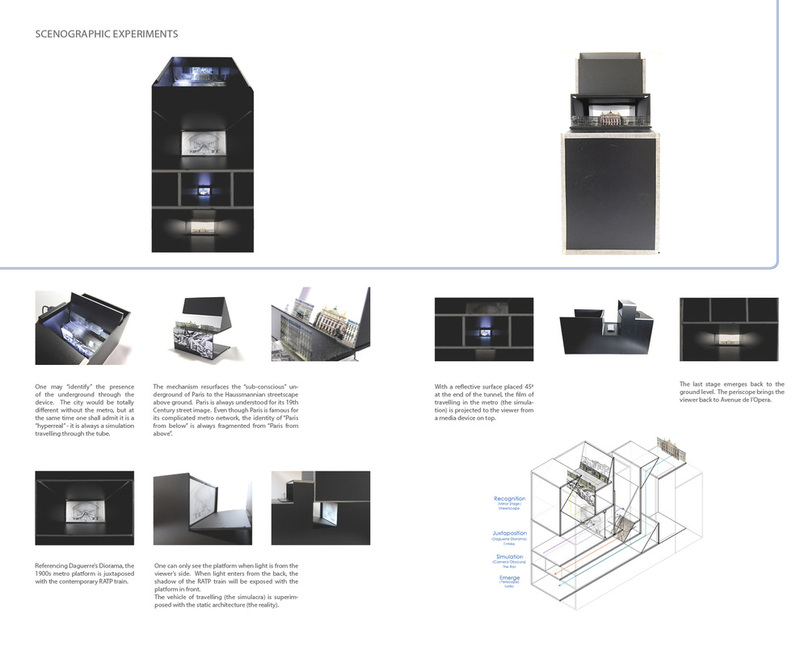 The axial sequencing of performative spatial volumes stimulates correlative encounters between the above and below through the lens of architectural thresholds. 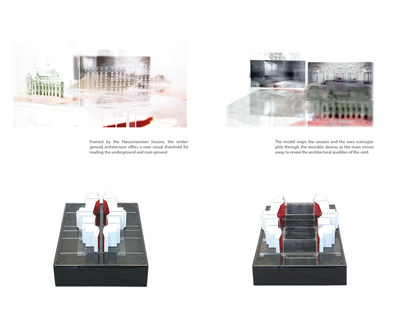 The design thesis resulted in a lecture in both Chinese and English; and an article published in a major Hong Kong newspaper.